One of the most frequent questions I get asked as a blogger? How to make money online. Oh, there are lots of ways, from selling on eBay, to selling on Amazon, to doing online surveys for different sites. Do some Googling and you’ll find some suggestions but you’ll also find a lot of gimmicks and plenty of click bait and switch-a-roos. Can it be done? YES! But there are plenty of scams as well. As a blogger, I have worked a successful website for years. Did I always make money blogging? Hahaha! No. I started Deal Detecting Diva in June of 2009 (which has now turned into Heart Hook Home!) and for the first two years or so I earned absolutely nothing. 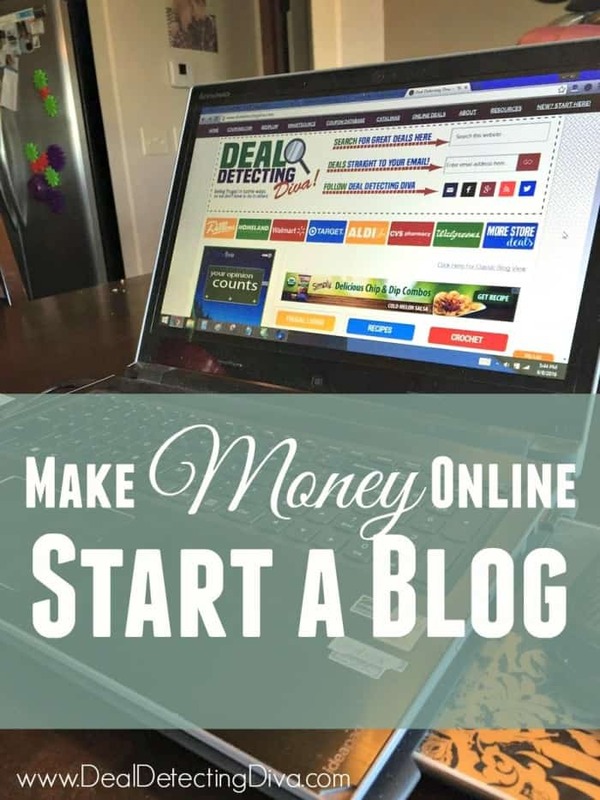 That’s not to say that you can’t start a blog today and start making money online immediately, its just the fact that I had no idea you could make money online with a blog. Blogging takes loads of time, patience, diligence and determination, countless hours and then you’ve got to add in some blood, sweat and tears and there is a definite learning curve. For years I (and now my husband Paul as well) have worked 60 – 80 hours per week on this little ol’ blog. Yes, it is a FULL TIME job (and then some). In the past few months, I have changed the way I approach certain things, and there is always something new to learn in the blogosphere and some new trend to keep up with. So how do we do it? I loved coupons for a very long time, and while I still post about coupons and online deals, I’m branching out to become more of a Frugal Lifestyle blog. We are making more of our household products at home, sharing more recipes, free crochet patterns and more. My son has a rare heart defect and you know what? There aren’t enough bloggers that talk about the emotions and the feelings and the fear and the “what to expect” aspect of having a child with a severe medical issue. There just aren’t. As a matter of fact, the most recent heart post I published has been our most popular post on the ENTIRE blog for the past 30 days. Wow! That NEVER happened when I was only talking about coupons. Here’s the post if you’d care to read. And you bet I’ll be opening up and sharing more and more! Try compiling a list of 90 articles you could write – and write well and thoroughly. If you’re going to blog consistently and hope to earn from it, you’ll need to post at least 3-5 good articles per week. 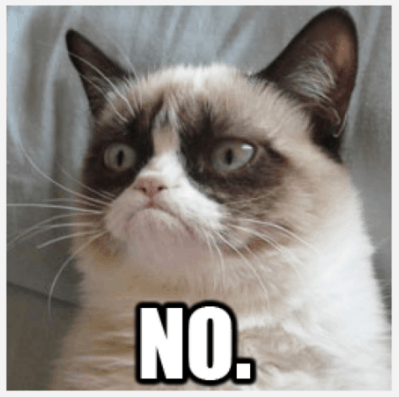 Articles that are engaging and interesting, and that are “evergreen”. Meaning that the topic and information included will always be relevant with no expiration date. Coupon and deal posts will always have an expiration date – literally! – and some on the very date they are posted. This is just one of the reasons I am moving away from coupons. If you can’t come up with 90 post ideas, there’s no way you’ll get through one full year of blogging – around 250 posts or more. There are billions of people in the world, and I guarantee you that no matter how obscure your topic, someone will want to read it. The trick is finding your niche and working it from the right angle. Something that is catchy and short, that encompasses all you wish to write about. It took me a while to come up with the new blog name Heart Hook Home. I wanted to incorporate “heart” because of our son, and the “hook” is for my ever-growing stash of crochet patterns and tips and tricks, and the “home” stands for the recipes, DIY, homemade Swiffer cleaner, stuff like that. When you have your blog name figured out, do some online searching to see if that name is available and if it is, buy the domain. This is cheap and easy, I used GoDaddy when I first bought mine. You could use Blogger or you could use WordPress. I started with Blogger and it was good to me for several years. I migrated over to WordPress several years back (around the same time I stopped doing my own tech/design work) and I must say that their functionality on the back end is much easier/smoother for me. Blogger was easier for me to manage alone as a newbie, but it can also be limiting once you get established and are wanting to grow your blog. You can do this yourself and save the money, but you also want it to look professional. I managed my own for several years, but I now have Carol with All Mommy Wants handle all of my design and tech work. She’s amazing and a great value! There are oodles of different networks to monetize your blog. The #1 is AdSense. This is Google’s ad network and while it is the largest in the world, that doesn’t mean it is the only one you should stick with, or that you’ll necessarily earn the most with them. You can have more than one. Play around and watch your numbers. You could also sign up with Media.net or Infolinks, or Revenuehits.com or a multitude of other networks. There are hundreds – or thousands? Some require you to have a minimum number of monthly page views (some are 100,000 while some are 500,000 page views per month – or more). The four listed above have no minimum and would be a good place to start. The goal and image sizes are different for Facebook images, Twitter images and Pinterest images – the three main traffic sources for many bloggers. If your images aren’t eye-catching, you won’t get as many clicks. Simple as that. I am constantly working to improve my images, and I know that I still have work to do. I will always have work to do. Successful blogging and images go hand in hand and what’s “hot” is constantly evolving. For now, I am using Canva, a free service that stores your designs for you after you’re finished creating them. Great for going back and editing/updating! Once you get some articles drafted/posted, and your blog is set up, you’ll want to get your name out there. Create a loyal following (and build TRUST between you and your readers) so that they will want to come back over and over again. BE REAL and be YOU. Depending on how frequently you’ll be posting new articles, you may want to send an email once a day or once per week. One great way to boost your email subscribers is to offer a free product for joining. This could be a free eBook that you’ve written or a free budget worksheet or another product that you could offer in exchange for joining. I’m working on a couple of eBooks and crochet patterns as well! There are so many ways to advertise your blog. Create a Facebook page and a Twitter page and a Pinterest page. Use these to your advantage! All social media platforms limit the number of your followers that see your posts. Your readers read your blog for a reason – they WANT to see your articles and your tips and ideas, so reaching them on multiple platforms is a must. The more active the reader is regarding your page and posts, the more they will see. Make your posts compelling and/or funny and keep your readers engaged and to keep those “reach” numbers high. And finally, the number one thing I strive for as a blogger here at Heart Hook Home: Being real and honest while remaining open and transparent with you. I can’t wait to share more and more money saving articles and the patterns, recipes and yes, those heart posts. All of these things are a big part of my life – and my entire life in fact – and I enjoy sharing our lives with you. I will say that as a blogger, you must find a line that you are not willing to cross. I will not put myself out there so much that I don’t feel like myself or over-exposed. I won’t throw EVERYTHING out there because, well, that is just silly nowadays. There is a line dividing open and transparent and over-sharing. If you were to start a blog, what would you write about? Would this be a fun way for you to make money online? One of the strong blog I have came across my friend. This actually helps how to start a blog and earn money through it in the same article. Very useful. Thanks for posting it in a smarter way. Looking forward for more similar blogs to read which can help me as this one. Some great ideas in your article on how to make money online by blogging. I've picked up some good "how-to" videos and ebooks on making money online from the Money Directory at http://money.madbeetech.com. There you can download material on all sorts of make money topics from using YouTube and social media to blogging to affiliate marketing. It's a good resource for anyone that has very little to spend but wants to get into making money online.